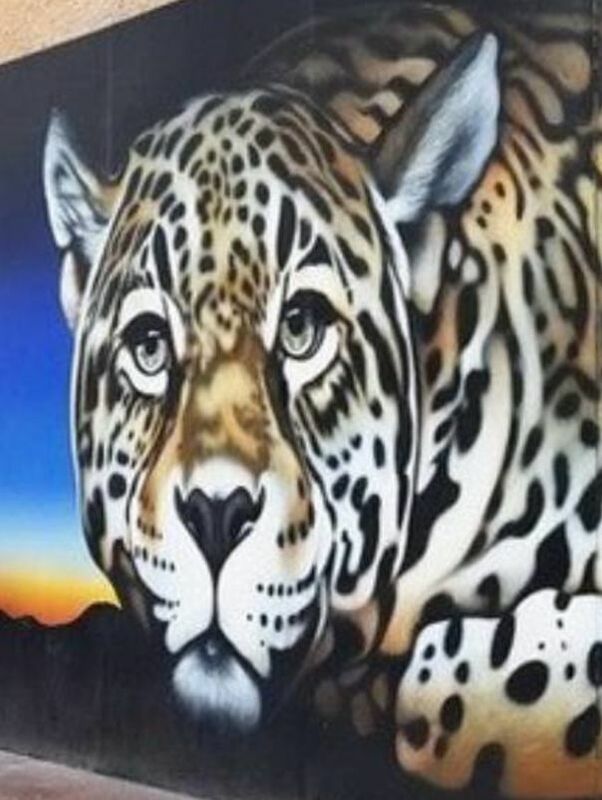 Born and raised in Tucson, Rock Martinez was artistically inspired at a young age, gravitating towards Mexican mural art. 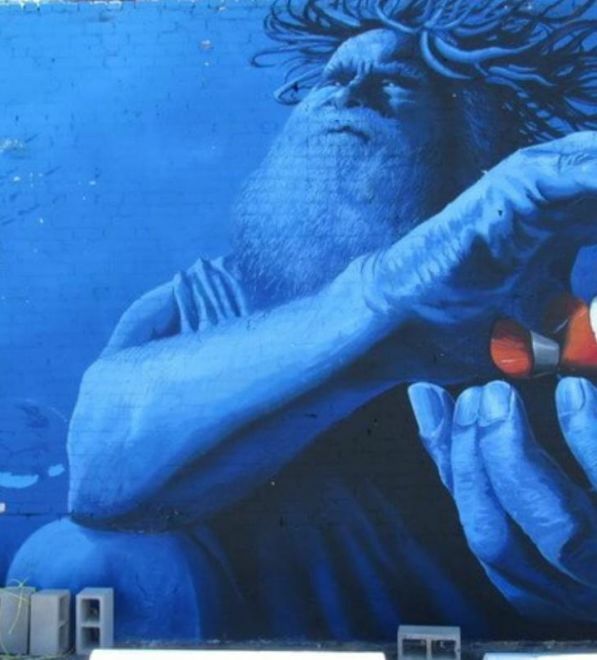 He remains true to his Graffiti background of over 15 years, with the majority of his work produced in aerosol paints and graffiti aesthetics. With his meticulous line work and intuitive sense of detail, Rock illuminates street corners and contributes to public art spaces, painting large scale murals and bringing communities to life. The mural is on a 55-foot-high wall, is one of eight new downtown murals created by Rock for the city of Tucson’s Mural Arts Program.